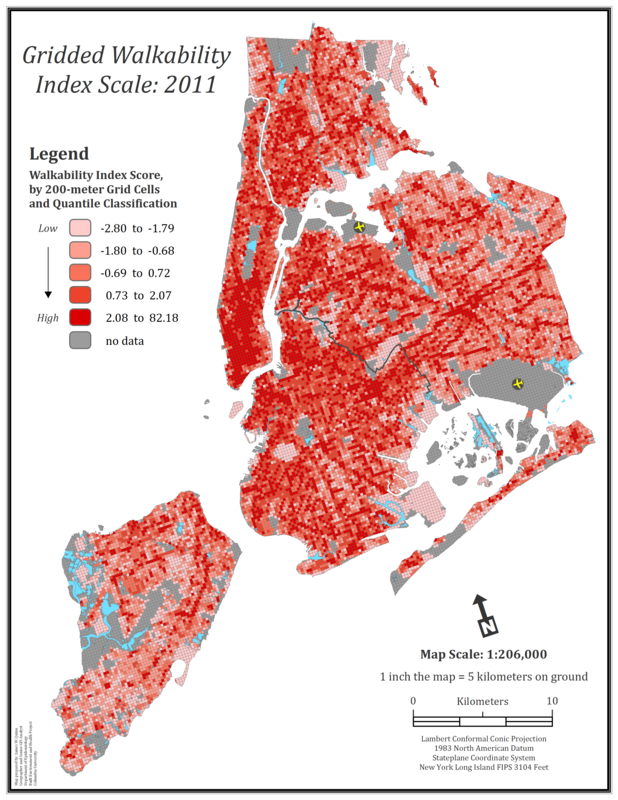 For our work on neighborhood walkability and physical activity and obesity, we are working on developing very high resolution data on walkability for New York City using our Neighborhood Walkability Index. 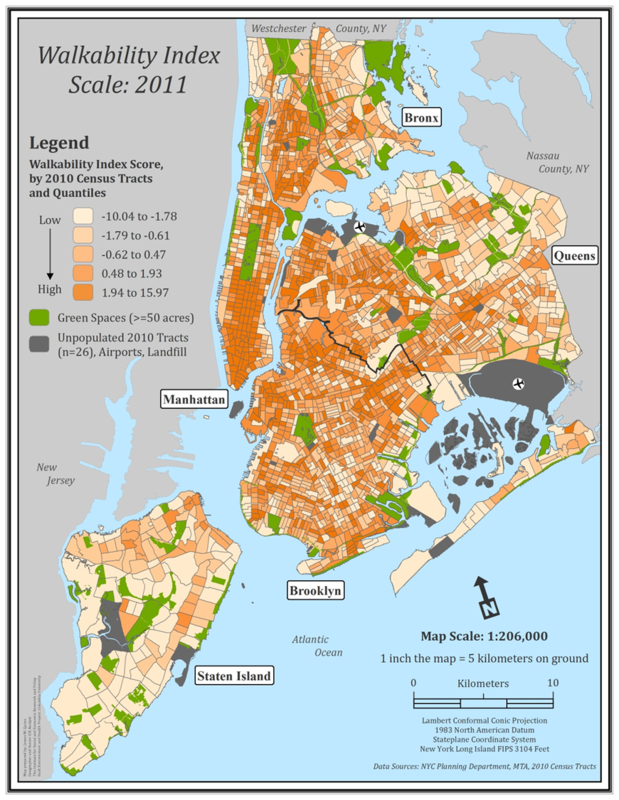 We previously posted a Census tract level map of neighborhood walkability in New York City. Here we have developed a map of walkability for a 200 meter grid laid over the City. This entry was posted in Walkability. Bookmark the permalink.